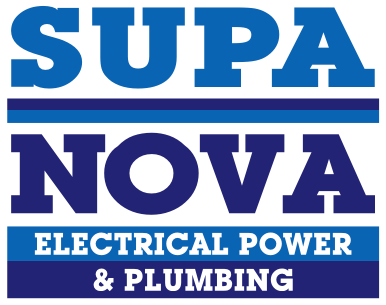 With over TWO DECADES of hands-on experience, you can trust Supa Nova with all your electrical and plumbing needs. Speak to us about Solar Power, Leak Detection, Inverters/Backup Power, Grey Water, Electrical Maintenance, Plumbing Maintenance, LED Lighting and Heat Pumps. With Supa Nova you will enjoy complete peace of mind knowing that the answer is “yes” to all the questions above. In fact, Supa Nova is one of a small handful of companies offering trusted expertise in the two very different disciplines of plumbing and electrical power. This means our clients benefit from the experience, expertise and performance of one reputable supplier for all their electrical and plumbing needs. Supa Nova is a Johannesburg based company, owned and run by Irwin Hackner. With an invaluable three decades of personal experience in the industry, Irwin doesn’t only know about the running of operations, but is constantly improving service delivery through using the latest technologies. Below is a gallery of logos of some of the clients for whom we have successfully completed projects and continue to provide on-going maintenance. These services include water leak detection, water management, general plumbing services, blocked drains, electrical repairs and maintenance, facility maintenance, clean and grey water distribution. I recently had a Solar System installed at my house by Supa Nova, Electrical Power& Plumbing. I found Irwin Hackner and his team at Supa Nova extremely knowledgeable and helpful in giving this advice. The installation of the system was carried out in an extremely professional an effective way. The team found faults in the existing system and they split circuits to obtain maximum electricity savings. I would gladly recommend Irwin and his team at Supa Nova for similar installations. You’ve proven that no job is too big or too small for your company and I will definitely make use of your services again. especially in the time that you managed to achieve it. Your staff and service was excellent. Supa Nova is dedicated to finding green solutions to the ever-growing global problems of water purification and power distribution. We believe that everyone has a responsibility to help save our natural resources and we’re proud to offer alternatives to help this essential cause. You could for example consider installing Solar Electrical Power, Solar Water Heating or Heat Pumps. By installing a heat pump you can reduce the electricity consumption of your geyser by 70%. Alternatively we can fit a timer to your geyser to regulate the length of time your geyser is switched on - giving you hot water when you need it, but not wasting electricity to stay hot when you don't need it. And by fitting an insulating blanket to your geyser and hot water supply pipes, Supa Nova can help you to reduce the amount of heat loss, reducing the amount of electricity needed to keep the water hot. Installing LED light bulbs will also reduce your energy consumption dramatically – you can get the latest in LED lighting technology from us. Choose a professional electrical and plumbing service provider. Is your service provider reliable? Can you trust the staff? Do they use the right equipment and invest in technology?